DAAR’s CE Shop offers a variety of on-line courses to help you fulfill your license renewal hours. Take advantage of monthly discounts! Take the non-credited course for free from DAAR’s CE Shop! Click here for more information. 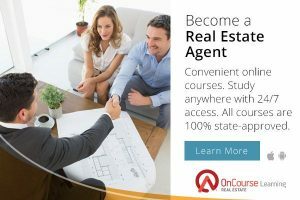 DAAR offers the 60-hour Principles of Real Estate, Math Master and Virginia Exam Prep pre-license courses on-line via OnCourse Learning. For more information, click logo and read our policy. 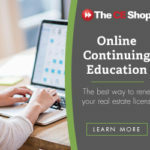 This on-line course covers the principles and practices of real estate appraisal, including general data analysis, residential real estate markets, neighborhood analysis, site description and analysis, highest and best use, specific data analysis, improvement analysis, principles of value, gross rent multiplier, special appraisal techniques, three approaches to value, and more. This course is approved for 45 hours of Broker pre-license credit in Virginia.